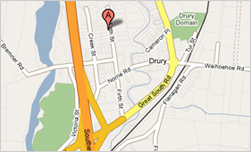 Recognised in the Industry as highly skilled automotive machinists, Drury Engine Reconditioners are in constant demand for specialised work requiring the leading-edge technology of their machinery and their specialised expertise. With years of experience in their particular fields, the team can confidently take on large scale commercial projects and restoration, completing them on time and to the highest standards. The greatest compliment that can be paid to any business is customers who become regular clients – and they have many.